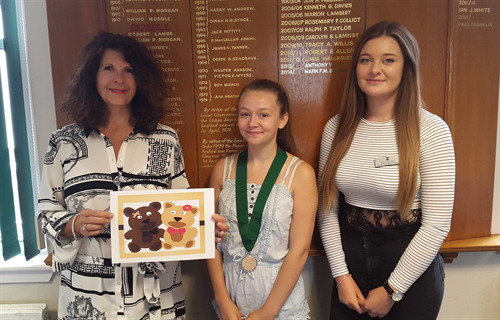 Seaford Town Council is pleased to announce that the Young Mayor of Seaford Gabrielle Edwards has chosen to support the Seaford based charity Teddy Treats for her mayoral year of 2015/16. Gabrielle hopes to hold events throughout the mayoral year to raise money that will be donated to the charity at the end of the municipal year. She will be assisted by the Deputy Young Mayor Jessica Batchelor as well as the Mayor’s Secretary and willing volunteers. The Young Mayor said “I am excited to be working with and supporting Teddy Treats Children’s Charity and look forward to raising money which will go towards treats for deserving children in Seaford”. Teddy Treats Children’s Charity provides treats to local children up to the age of 18, and their families in Seaford, East Sussex and surrounding areas who are disadvantaged due to circumstance, health and or socially. Working in partnership with recognised Agencies - Schools, Support Groups, and other registered organisations. Founded in 2014 the organisation is run entirely by a committee of volunteers working in the local community to give back to the children and families in need. For more information on Teddy Treats please visit their website.